Just because summer is over doesn’t mean the beach is closed. 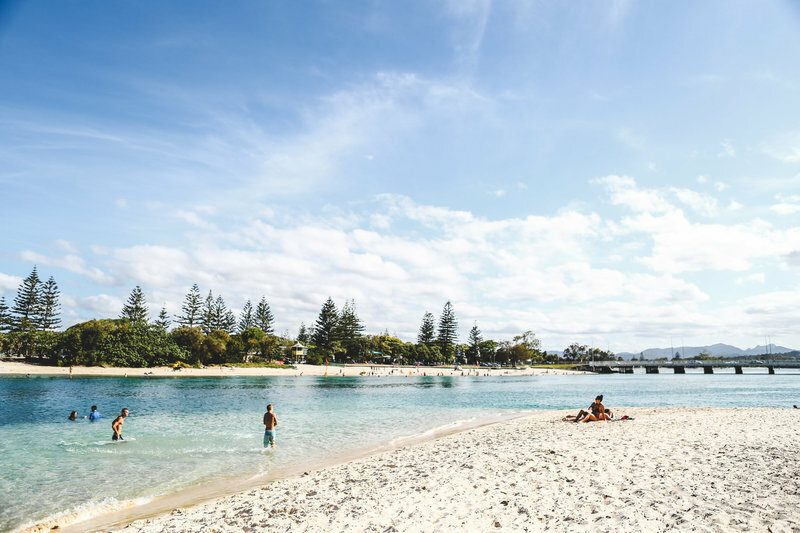 300 days of sunshine and some of the world’s best beaches at your doorstep – this is the stuff endless summers on the Gold Coast are made of. A coveted beauty essential created by two intelligent, fashionable, cultured women in love with everything glowing and glamorous who realised they were drinking from trash: cheap, disposable, plastic water bottles. Not glamorous. And yes, I did just say beauty essential, but I’ll get to that. Instead, they wanted to drink from something clean, clear, soft and beautiful that felt like a couture accessory and not camping equipment. So, they said yes to the adventure, quit their day jobs and set out to design a sustainable product to be loved, not tossed away. I’m addicted to products with a great back story and so far I haven’t been disappointed. I first stumbled across these beautiful BKR water flasks (pronounced beaker) in a marketing mag. 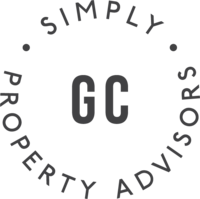 Their growing popularity in Europe and the US is thanks to a very clever business model. These luxurious, high-quality water bottles are actually marketed as a skin care product and sold in cosmetic departments, claiming that hydrating your body is the only beauty product you’ll ever need. This classic range of straw baskets from Robert Gordon Australia could be your go to hold-all, all year round! 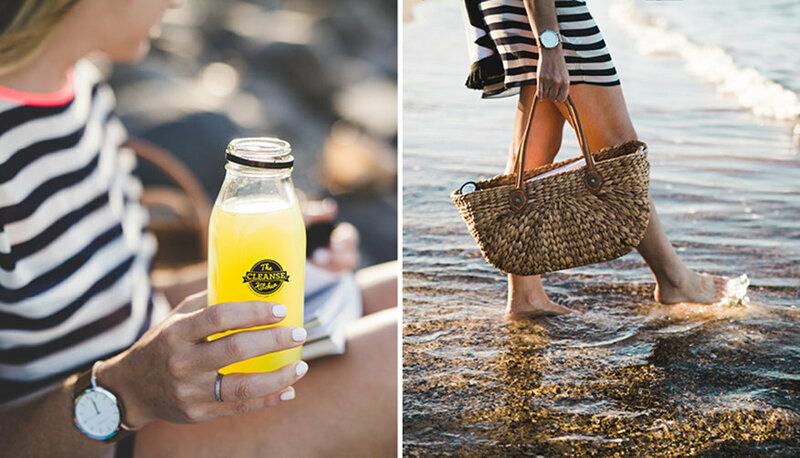 Beachside, poolside, or at your local farmers market, celebrate your own homegrown goodness in style. Pick one up locally at Fleurus in the Ferry Road Markets. The harsh Queensland sun makes sun block the number one thing on my list when heading outdoors. Living on the Gold Coast, sunscreen is a daily essential, so it’s important that it not only works and protects the skin, but that it’s fragrant free, long lasting, not full of nasties and goes on without being too greasy and oily. I came across the Sun Bums range of products on a recent break to Byron Bay – glides on, smells like the tropics without being overpowering and comes in a bottle size bigger than 120ml. Created under the hot Californian sun, the crew over at Sun Bums were on a mission to develop a product that their friends and family would actually want to use if they were going to move the needle on skin cancer. Sun Bum uses a mix of organic and inorganic sunscreens so while it may not be entirely chemical free, I’ve found it to be one of the better sunscreens on the market. I’ll keep you posted if I find a Gold Coast stockist but for now you can find it here. Scary fact – 1 in 2 Australian men and 1 in 3 Australian women will be diagnosed with cancer by the age of 85 – need I say more.This classic range of straw baskets from Robert Gordon Australia could be your go to hold-all, all year round! Beachside, poolside, or at your local farmers market, celebrate your own homegrown goodness in style. Pick one up locally at Fleurus in the Ferry Road Markets. A coveted sea side accessory – the roundie – hit the big time in Australia a couple of years ago. Think – a perfectly round towel that’s big and classy. Spread out with the family, snuggle with your lover or sunbake with your bestie, there’s plenty of room for everyone. 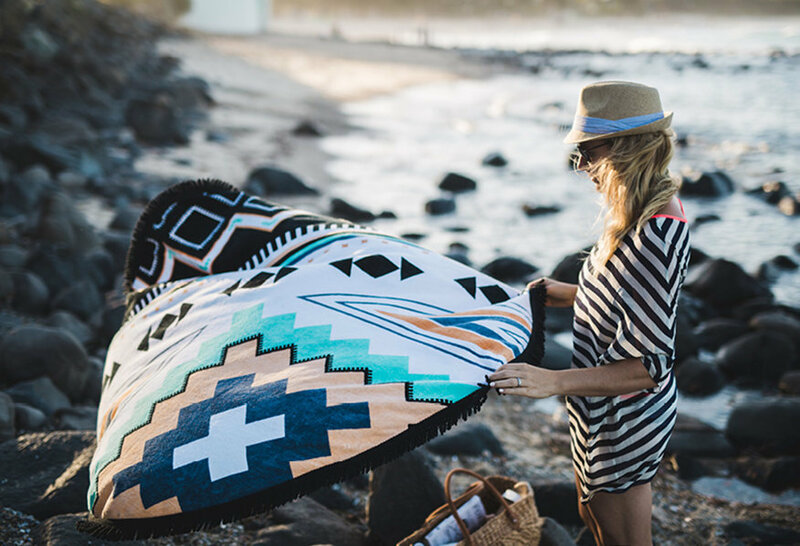 Creators of the original hand drawn round towel, The Beach People hail from just over the NSW border at Kingscliff. Most of these boutiques on the Gold Coast stock the roundie – my current favourite is the Palm Springs design (pictured) but my original Majorelle design still gets a good run too. When Tony first came home from the Sanctuary Cove Boat show with these I thought he’d gone nuts. Although, the original intention was to use these on the boat, I find myself taking it everywhere with me, the beach, the park, BBQ’s with friends. We even got into a recent concert at Riverstage with it because it’s not classed as a chair. A stylish lightweight, use anywhere, comfortable seat that includes an integrated 14 position hinge so you can lay back and relax in style. If you haven’t got one of these Comfort Seats yet, I can highly recommend them. 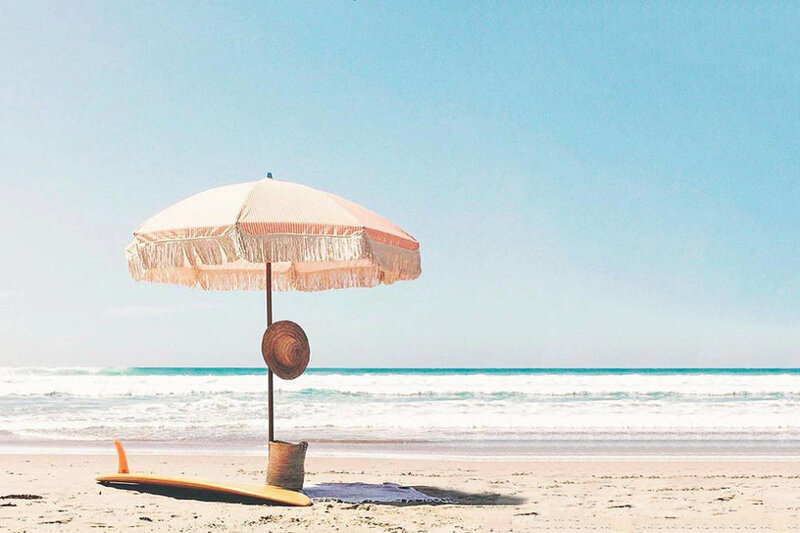 These stunning vintage beach umbrellas are perfect for sun drenched days at the beach. Made for the sun lover and designed for Australian summers, they will age gracefully and naturally. I love the soft palette of terracotta and warm dusk feels of the Summer Deck Umbrella and how they are finished with beautiful natural cotton tassels and a lightly varnished beechwood post. Pick one up at The Cabin Stores at Coolangatta or online over at the Sunday Supply Co.
Ok, so this pick goes way back to my roots. With Scandinavian blood, I’m a little biased when I say anything coming out of Sweden seems to nail it in the design stakes. These simple headphones from Happy Plugs, combine both style and function with their minimalistic and clean design. I find them really comfortable to wear for long periods of time and love that they come in a huge range of colours. The name Happy Plugs states it all. Yes, we call casual sandals ‘thongs’ in Queensland. Birkenstocks have released a range of footwear that is not only just as comfortable as the original, but is made out of a super light material. Wait. What’s that? You can’t get Birks wet… You can now. 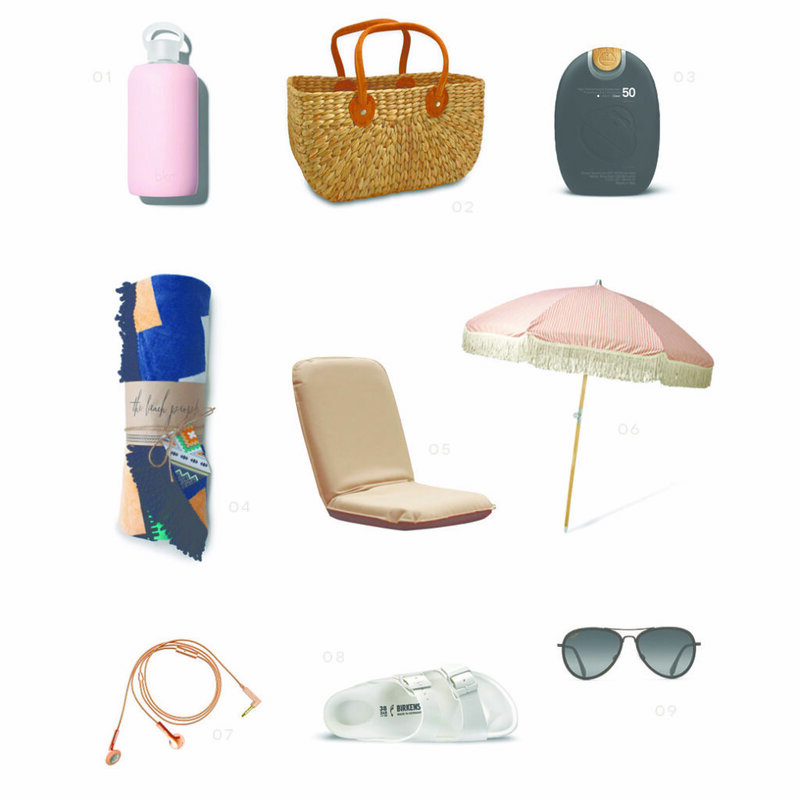 Comfort always in my books, and now that extends to your next beach trip. Time to step out in style. Not all sunglasses are created equal, and when you’re up against the hot Queensland sun, it’s important that you’re getting around town with shades that work. Now I don’t think I need to go into all the reasons why you should always wear sunglasses outside. Apart from helping to protect against, skin cancer, cataracts, glaucoma, macular degeneration and pterygium, but if you’ve never owned a pair of polarised sunglasses it’s time to go pro. If you’re already a lover of the polarised lens, then you’ll know how hard it is to go back to wearing ‘basic’ sunglasses. Many designer brands now stock a range of polarised sunglasses but personally Tony loves these from Dolce and Gabbana and as long as Maui Jims continue to release on trend styles I’ll remain a loyal customer. These lightweight aviators are my current favourite.